I could almost hear a collective ‘gasp’ as the world watched in horror as the roof of the iconic symbol of Catholicism in France and the epitome of Gothic architecture, Notre Dame Cathedral, went up in flames this past Monday. As is often the case these days, the bulletin came through my mobile phone that “Notre Dame Cathedral in Paris is on fire.” Turning the television on to CNN, I watched in horror as the central tower collapsed in flames. Having visited the Cathedral a number of times over the years, my great fear was that the Medieval rose windows of incomparable beauty and antiquity together with the famous organ – completely restored only 20 years ago, would be consumed and lost forever in the flames. While it appeared that first responders were slow in arriving on the site, what could not be seen on television was the heroic mobilization of over 500 firefighters to do all they could to save this cultural icon from being totally destroyed by the flames. Precious relics were saved by the heroism of the priest chaplain to the fire fighters of Paris. Thankfully, after a number of hours, the flames were extinguished and miraculously the main structure of the Cathedral with its famous twin towers and classic façade were saved. The following day, the first photos of the interior of the Cathedral were shared throughout the world. While the nave and sanctuary were strewn with charred debris from the collapsed roof, hovering over what could have been a total disaster was the brilliance of the cross, metaphorically speaking of triumph in the midst of what could very well have been total disaster. Out of the ashes of that moment, the cross spoke of hope and promise for the future. Within a matter of days, over 1 billion dollars was raised for the rebuilding, restoration and conservation of the Cathedral for generations to come. President Macron of France set a goal of accomplishing this within five years! My sisters and brothers, as we reflect this happy day on the meaning of the Easter mystery in our lives, there is no more fitting historic event that provides a metaphor for us to touch the inner meaning of this central feast of the Christian faith than what has recently transpired in the City of Lights this past week. Out of the ashes has come a new beginning. Out of the dark sadness of what appeared to be certain destruction has come new life. From the cross has come resurrection! At the Great Easter Vigil, it is the symbol of fire that shatters the darkness of this holy night with the Light of Christ. No longer the frightening symbol of destruction, fire now becomes the refining earthly element that ushers in the transformation of the cosmos into a new creation because of the risen Christ. The darkness of cross and tomb cannot contain the one who will conquer death on the wood of the cross and let love triumph, renew and transform. For in Christ, death give way to new life and with it, unending hope for all who are now buried and rise with him through the waters of Baptism. And so, my friends, on this Feast of the Resurrection, let our hearts be filled with joy for the one who has brought light out of darkness, hope out of despair, unending life out of death. This is the day the Lord has made. Let us be glad and rejoice in it, Alleluia! My brothers and sisters, our reading today from Paul’s letter to the Philippians illustrates this same truth. Paul too was in prison, even as he wrote this brief letter. And yet his eye was on the future, and with such hope his optimism could not be stripped from him, even if his captors stripped him of his possessions or his freedom. And because Paul kept his hope, even in those desperate circumstances, he maintained an irrepressible joy that almost jumps off the pages of his epistle to the Philippians. Here we are, two thousand years later, deep into the weeks of Lent, and some of us lack that same joy Paul knew. Some of us are focused on what we have given up, or on how long it has been since the excessive days of Mardi Gras. But Lent is not a season of sorrow, it is a time to shift focus, to clarify vision, to remember the real path to joy is not found by avoiding suffering, but by moving with faith through suffering. Maybe Paul’s word from prison is a word for us too. How could his sufferings, or ours, purify joy and strengthen hope, instead of leading toward the precipice of despair? First, lasting joy comes from focusing on the surpassing gain of knowing Christ, rather than on the temporal gains or losses on this world. Ok, ok, I know this all sounds a bit too otherworldly to be of any earthly good, but hear me out. In the previous verses of his letter, Paul had just been listing for the Philippians a set of his worldly accomplishments—his pedigree, his resume of accomplishments, his reputation. And we each have such a list, don’t we? We each have a set of degrees framed on walls, or a list of social organizations in which we hold memberships, or a list of property holdings and bank accounts. But Paul is saying that all of these things, noble in their own way, have only temporary ability to provide joy. Eventually we will be separated from each of these treasures, by time, by our own mistakes, by shifts in global economies, or just by our own death. And what then? Paul urges his readers to keep invested in the only relationship that will transcend all of life’s ups and downs, and will even transcend death itself. And that is our relationship with God, through Christ. When Paul thinks about that relationship, his heart swells with joy and gratitude, for he knows that it is pure grace from God that makes that relationship possible in the first place. We do not find Christ. He finds us. Our Christian faith is not our accomplishment. It is God’s accomplishment. And therefore, Paul considers that relationship his greatest gain in life, so great that all else in his life seems by comparison to be mere rubbish. He uses a strong word for this comparison to emphasize his point, he compares even his greatest accomplishments and resume strengths to a word that is best translated “street rubbish, excrement.” Strong image, to be sure. But Paul does not hesitate to drive home his point. The path to joy is only found on keeping a very loose grasp on that which the world grips so hard, and instead focusing one’s grasp on the surpassing value of knowing Christ, and being known by Him. Nothing else in life can replace that joy. Nothing. The second message from Paul in this reading is the importance of keeping one’s focus on the future, rather than on the past. Paul borrows an image from the Roman games, and an image every athlete here understands fully. He compares himself to a runner whose eye is on the finish line. Athletes learn early to endure the pain of practice and training in order to be in condition to compete, to win the game. How do they do it? They keep their mind trained on the goal rather than on the temporary muscle pain or boring routine of training. And during the contest, that same athlete keeps his or her eye on the final goal, the finish line. Let past hurts and past accomplishments stay there, in the past. The only way to win is to press forward, not dwell in the past. 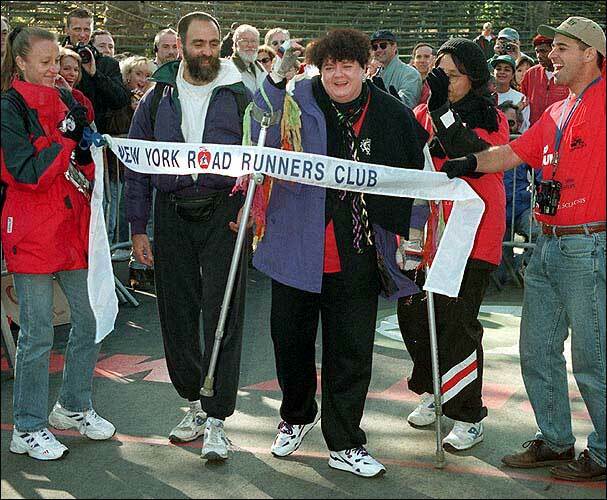 In 2002, two women lined up to run in the New York City Marathon. One of them, Kenya’s Margaret Okayo, made headlines by setting a new record winning pace of 2 hours, 22 minutes, 31 seconds. But the other woman, Zoe Koplowitz, ran the entire twenty-six mile race too. Her notice in the papers was not on the front page, but it is no less dramatic. You see, Zoe Koplowitz has diabetes and multiple sclerosis. She completed the grueling race in 29 hours, 45 minutes. She was the last competitor to cross the finish line, more than a full day after the world-class athletes. But if you compare the pictures of both women as they crossed the tape, you see the same inexpressible joy. It is not winning the race; it is finishing that matters. And the only way to finish, at whatever pace, is to keep an eye, not on the clock, but on the finish. Thank you for the coverage...The last time my name and photograph were printed in a newspaper took place the day I was sentenced...So it was a real joy to see my picture in your paper doing something good...When I entered prison 18 months ago, I was a lot like the house we just remodeled...But God took charge of my life and has made me a new creation in Christ. My friends, this brief story beautifully illustrates the point that Jesus himself is trying to make in our Gospel today. The first half of the gospel tells about two groups of people who are killed by recent tragedies in Jerusalem. Jesus ends his reference to these tragedies by saying to his hearers, "If you do not repent, you will all perish as they did!" The second half of the gospel tells about a fig tree that was planted inside a vineyard. A vineyard was an ideal place for fig trees to grow. If a fig tree couldn't grow there, it couldn't grow anywhere. I have been told that a fig tree takes about three years to mature. If it doesn't bear fruit in that time, it probably won't bear fruit it at all. This explains why the owner of the vineyard instructed his gardener to cut the tree down. And so, it is remarkable that instead of cutting the tree down, the gardener begs the owner to give it a second chance. "Leave it for this year also, and I shall cultivate the ground around it and fertilize it," he says. Jesus intended his parables for two groups of people. First, Jesus wanted to instruct the people of his time. Second, he meant this story for all of us who hear this in this time and place in which we live. The Lord's first audience, of course, were the people of Israel. Jesus tells them that God gave them a choice place in his plan and took special care of them. But they didn't bear fruit. Jesus tells them further that in spite of this failure, God will be patient with them a little longer. He will give them a second chance, like the fig tree. But what is the Lord telling us in this parable? My brothers and sisters, in many respects we are like the people of Israel. God has given us a choice place in his plan, and he has taken special care of us. But God expects us to bear fruit. If we don't, then, like Israel, God will give us a genuine opportunity to repent. If we don't repent, then, like Israel, we will perish. The Lord has blessed our lives with countless opportunities to be transformed and made new in his love. As Catholic Christians we have the daily and weekly opportunity to feast on the Lord's real presence among us in the Eucharist. In the sacrament of penance, all of us have a second, third and infinite opportunity to express our sorrow for failing to grow in our love for the Lord and to begin again in becoming fruitful and life giving through the grace of forgiveness. Just as the Lord spoke to Moses in today's first reading, inviting him to make a choice in becoming part of his great plan of liberation for His people, so too, each of us are given choice to help build the reign of God in our midst. Paradoxically, however, our growth so often comes through the trials and challenges that we face in life. That fig tree had to be fertilized for it to eventually bring forth its fruit. So also, in our own lives. The daily disappointments, the challenges and suffering in life can easily defeat us with despair, or bring us to new opportunities of growth in God's love. Yet, it is up to us to make that choice between despair and hope, stagnation or growth, death or new life. May this Lenten season provide countless opportunities for us to choose the path of growth and new life in Him in whom we live and move and have our being. Some things cannot be explained, only experienced. For example, how do you know the difference between the love of the moment, and a love that will last a lifetime? Or how can you describe color to someone who is born blind? Or why do war veterans stay so quiet about their battle experiences? These are not the kind of questions that can be reduced to formulas, creeds, or slogans. As with most of the really important truths in life, they resist easy explanations. They can only be known by living through them. And those who know these truths rarely shout about them in public, for they are best laid gently against the ear in a whisper, or better yet, a knowing nod from across the room. The great truths about life are wrapped in mystery. To speak of them we must use the indirect language of poetry rather than the direct language of prose. As light too bright to view straight on, these great truths can only be seen from an angle. And it is with this angled vision that we view the story of the Transfiguration of Jesus, as reported in the Gospel of Luke today. It is a singularly remarkable story. And we do it no justice to reduce its mystery to a set of easy precepts that help us live our ordinary days. This is a great, unusual moment in the life of Jesus. It is utterly shrouded in mystery, and majesty. So profound was this experience that decades later both Peter and John would write about it as the day “we saw his glory” (John 1:14) and “were eyewitnesses to his majesty” (2 Peter 1:16). What happened on that mountaintop that day? We cannot know for sure. Even the eyewitnesses were not sure what they had seen, nor what it meant. But the longer the disciples lived, the more they seemed to understand. And these seemed to be some of the insights they learned. First, those who have heard God’s voice can more easily endure God’s silences. This was the second time in the Gospel record when the disciples heard the Father’s voice affirming the Son. At Jesus’ baptism, the voice from heaven called him “beloved,” and gushed with the Father’s pleasure. And now at the mount of Transfiguration, immediately after Jesus announced his destiny of suffering on the cross, the voice again confirms the path of Jesus’ direction. How crucial these two heavenly confirmations must have been for Jesus, and for his followers! But on another hilltop, outside Jerusalem, while hanging on a cruel cross, the heavens would fall silent. On this day there would be no shining light, no appearances of Moses or Elijah. And yet Jesus could endure such a Day of Silence, because he had heard the voice earlier. No amount of suffering or humiliation could erase that memory, or separate him from the confidence that voice gave him in his chosen path of redemptive suffering. You and I will live through some dark moments of our own during a lifetime. Moments when we will fling out our prayers to God in desperation, only to be greeted by heaven’s silence. How do we maintain faith in such a dark quiet? By recalling those times when the sunlight of God shone in our hearts, when God’s word was planted in our memories. Suffering does not invalidate those times of intimacy with God. It is at such times that those memories are all we have. But fear not, those stored experiences of God’s presence are enough. We are saved by holy memory. But second, we are also saved by holy hope. It is not incidental that it was Moses and Elijah that stood with Jesus on that day of transfiguration. Moses epitomized the Law, and Elijah epitomized the prophets. And both the Law and the Prophets looked forward to the day when God would come to set things right, to redeem His people. In Jesus all of those centuries of expectation and hope found their fulfillment. For all of those years, God’s people lived and died by the hope that God would be faithful to fulfill His promises, even though they did not exactly know how God would do it. And it is not that different today for God’s people. Even though we know the story of Jesus, and even though we have seen the heart of God laid bare in his suffering love on the cross, we still have more questions than answers when it comes to life’s mysteries. And here is the greatest mystery of all, “what happens to us when we die?” Once again, the great truths cannot be explained, only experienced. And the Transfiguration of Jesus does not provide that explanation. But it does give us a glimpse of a transforming brightness on the other side of the darkness, like a light at the end of long tunnel. On those occasions when Jesus took Peter, James and John aside for special instruction, the foreboding sense of death always hung in the air. First it was at the bedside of Jarius’ daughter, whose death Jesus reversed with life-giving power. On the mount of transfiguration, which occurred just after Jesus had been talking to the disciples about his own death, Moses and Elijah were talking with Jesus about his upcoming “exodus’—his death—in Jerusalem. And finally, in Jerusalem, the night before he died on the cross, Jesus took these same three disciples to the Garden of Gethsemane to help him pray and prepare for death. Why these three only? We do not know. And why were they always falling asleep instead of watching and praying like he asked them to? We do not know that either. But we do know that in those few brief moments of special time with Jesus, God chose to pull back the curtain of mystery just enough to let them know that death does not have the final word. At the other end of the tunnel of mystery, on the other side of death, is a transforming presence and power. But at the end itself, there is God. And that, for now, is enough for any of us to know. The Temptations of Christ, 12th century mosaic at St Mark s Basilica, Venice. According to the German legend, Faust was an astrologer who longed for restored youthfulness, fame, and fortune. Now, there is nothing wrong with youth, fame, or fortune, to be sure. But Faust so longed for these that his yearning became obsessive. And such obsessive longings drew the attention of the devil, who is always on the prowl, sniffing for the scent of irrepressible desire. As you recall, the devil offered Faust all that he wished—youth, fame, and fortune—an instant gratification, for the duration of his life. But in exchange, Faust had to give the devil his soul for eternity when he died. To Faust, it seemed like a good deal. A simple contract and handshake, and it was done. Immediately Faust was handsome, popular, and rich, and he enjoyed those benefits throughout his life. Of course, the good deal did not look nearly so good when it came time for Faust to die. But by then the die had been cast. And Faust entered eternity, and our folklore, as the poster child depicting the tragic consequences that befall those who make deals with the devil. The story proved to be very popular as it passed down in oral tradition from parents to children, and from pastors to parishioners, for centuries. The tale of Faust is retold in the writings of Marlowe and Goethe, was staged in the operas of Berlioz and Gounod, and inspired a symphonic poem by Liszt. But long before the legend of Faust, the New Testament writers recorded another encounter between the devil and a man. But this story is not a Faustian tragedy, for the man named Jesus wins his battle with the devil. That story forms the reading today from Saint Luke’s gospel. As we enter the season of Lent today, the Church turns to this ancient story, and we seek from this text a path we might follow when we are tempted by a devil’s deal. Temptations are not enticements to do evil, but to twist something good for our own convenience. Notice the subtlety of the devil. He does not come to Jesus until forty days have passed. By this time Jesus is tired, he is hungry, he is lonely. The desert elements have sapped his strength. Like a lioness seeking the weakest and smallest animal from a herd, the devil waits to pounce when he thinks his prey is most vulnerable. And when the tempter speaks, it is with a whisper, with innuendo, with mere suggestions. What could be wrong with satisfying hunger, turning a few rocks into bread? Would not Jesus create bread in the wilderness for a great multitude later in his ministry? And what’s wrong with using political power to overthrow oppressors? Or using miracles to prove God’s existence and convince the skeptics? These are the implied shortcuts to a world-wide Church that the devil offers to Jesus in the wilderness. And who would know anyway, way out there in the desert? How subtle and sly are the innuendoes of the devil’s counsel! But Jesus anticipated this tactic of Satan. As far back as the Garden of Eden, the whisper of the devil was to rise, not to fall. He did not suggest to Eve and Adam that the forbidden fruit would make them like the devil, but like God. The fall is there, to be sure, when you cut a deal with the devil. It is just hidden in the fine print. Just ask Faust! How are we faring with this same temptation? What are we living for? Is it worth dying for? Second, temptations are not signs of weakness, but of strength. We are not tempted to do that which we cannot do, but that which is within our reach and power. For this reason, the greater a person’s power, the greater the temptation. How fierce must the battle have been for Jesus Christ! This struggle was not against a cartoon figure with horns and pitchfork. It was a real battle, of cosmic proportions. The force of temptation is proportionate to the opportunity to do good that is before a person. In the case of Jesus, the clash could not have been more dramatic. On the backside of every strength is its hidden weakness, its Achilles heel. If you are beautiful, the temptation is to use that beauty to open doors of your own ego, or to invest too much of your self-worth in superficial and temporary appearance. If you are wealthy, the temptation is to become possessed by your possessions, rather than use them for God’s glory and purposes. If you are powerful or popular, the temptation is to believe that you are essentially different than the rest of humanity, better than others, and therefore worthy of their servitude and adoration. All of these gifts can make a life great when channeled in service to the world, and all of them can be distorted and wasted if used only to selfish ends. Faust missed this truth, and it cost him his soul. Jesus understood this truth, and in the end, though he gave up his life, he did not trade in his soul. I have always found it ironic that as much as all of us want to be guided by our “better angels” - there’s something in the human psyche that seems to take inordinate delight in the failings, misdeeds, and dark side of humanity. 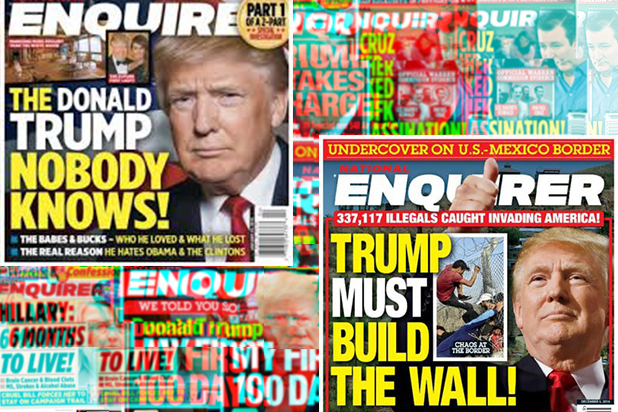 What in the world would the National Enquirer Tabloid do if this tendency in the human heart were to ever be replaced by our desire to only see and speak of the good of others - they’d go broke in a month! Don’t get me wrong, God does not call us to look at our world and our lives in an uncritical and pollyannaish way. God has given us the ability to discern right from wrong, virtue from vice, right judgment from foolish. The problem is, most of us are ever so quick in discovering those faults and failures in others rather than focusing that same critical gaze on ourselves, on our own life, on our own heart. But let’s face it, its far more entertaining to notice the splinter in our brother’s or sister’s eye than to notice the wood beam in our own. There are, however, unavoidable consequences to living this kind of life - being the guardians of virtue and right conduct for everyone else but ourselves. It can invariably lead to one of the most dangerous and self-destructive ways of living. Failing to check these tendencies in our own lives can lead to living the kind of life that Jesus was quick to criticize and condemn with some of the strongest language in the New Testament - I’m talking about hypocrisy. I find it fascinating that in the catalogue of wicked sins of our time that we Catholics are so quick to condemn, few if any of them are mentioned explicitly by Jesus in the Scripture. Now, that of course does not mean that just because something wasn’t mentioned explicitly by Jesus in the Scripture as wrong it is freed it from righteous judgment. Rather, in laying out a vision to establish our moral compass - Jesus goes first to the human heart. Jesus is far more concerned about challenging his followers to root out self righteousness than policing the morals of others. Time and time again, Jesus takes after the Pharisees who have became the epitome of hypocrisy for the Lord. In graphic imagery Jesus describes their lives as tombs - beautiful to look at from the outside but filled with dead and corrupting bones. For Jesus, the greatest barometer of moral integrity, will invariably be gauged by the quality of how we LIVE our lives - the fruit that we bear from hearts that are rooted in the Lord. My brothers and sisters, as the penitential season of Lent opens for us this Ash Wednesday, the Lord is setting before us this privileged time to take a close look at our hearts and reflect on how well they are rooted in the Lord of our lives. Have we become so preoccupied with policing the morals of others that we have become morally shortsighted ourselves? Are we more concerned about “splinter” in the eyes of everyone around us, that we have become blinded to the wooden beam in our own eyes? Let us pray that this season will truly be a time to celebrate our freedom in Christ, a freedom that begins with rooting out the self-righteous blinders in our own lives. Father in heaven, form in us the likeness of your Son and deepen his life within us. Send us as witnesses of Gospel joy into a world of fragile peace and broken promises. Here’s a piece of wisdom from a story told by ancient Chinese sages: a certain poor farmer was telling a neighbor about the destruction of his property fence by termites. “That’s terrible! ”the neighbor said compassionately. The farmer continued, telling how he went to repair the fence and while working there captured a wild horse, hoping to domesticate it for work around the farm. “What a blessing!” exclaimed the neighbor. But the farmer continued the story, telling how his son tried to tame the horse, and shattered a bone in his leg when the horse threw him violently to the ground. “That’s terrible!” the neighbor said. And again, the farmer continued his story, telling how the soldiers of the warlords had come to forcibly enlist every able-bodied young man for the army, and thus how his son was spared that awful fate. “What a blessing!” the neighbor said . . .
Well, you get the point. Sometimes it is too early to tell what is good and what is bad, what is a blessing and what is a disaster. It takes time to properly interpret the full impact of any single event in history. How many times have we read of the winner of the grand multi-state lottery, only to hear later how that sudden wealth brought ruin to that person’s life? And similarly, how often have we seen apparently dreadful things occur to someone else, and then see how that very trial brought out the best in that person, or in those around them? Sometimes it is just too early to discern what is blessing, and what is woe. Jesus makes this same point in our reading today from the Gospel of Saint Luke. He gathered his disciples around him and pronounced a set of conditions for blessing and woe that surprise us, unsettle us, and threaten to turn our worldview upside-down. The first thing that strikes us in these statements is their reverse logic. Just listen to the paradoxical language here: happy are the poor, the hungry, the sad, and the hated?! What kind of sense does that make to you? We all want to be happy, but who wants to be poor, or hungry, or sad, or unpopular to get there? In fact, aren’t most of us working at all costs to chase that elusive bird of happiness, thinking it makes it nest out of prosperity and power and popularity? Our nation’s founders wanted a nation where “the pursuit of happiness” was sacrosanct, but even they defined happiness as being “healthy, wealthy, and wise.” So, who wants poor and hungry? Jesus, what do you mean? Like the first disciples, we are left scratching our heads at this one. But Jesus is using the language of hyperbole here. He deliberately wants to turn our world over, to get us thinking again, and to cause us to realign our perspective with God’s. The point is this: there is no exact correlation between happiness/blessedness and the amount of one’s wealth, or the food in one’s pantry, or the popularity of one’s associations. The abundance of these things does indeed make us feel more secure, and open up many joys in life. But it is a serious mistake to equate this bounty as a sign of God’s approval, or as a sure path to inner peace and happiness. In fact, many are they who have accumulated great wealth and fame, only to become reduced to very insecure and lonely people, perhaps because they fear losing that abundance, or because they have sold their soul and every legitimate relationship of their lives to accumulate that abundance. Even fame has its cost. I heard of a movie star recently saying she would trade it all away for the chance again to live an anonymous life, free to shop and eat in restaurants without the omnipresence of reporters and photographers and autograph seekers. Blessing or curse? Sometimes it is hard to say for sure. The point Jesus wants to make is simply that we must live our lives without thinking that we are defined by the presence or absence of things, or of public opinion. These factors are not signs of God’s favor or disfavor. And they are not indicators of significance in life. They are adjectives in our lives, but they are not the nouns of our identity. There is only one factor that must define us, and that is whether we belong to God. If so, nothing else can hurt us. And if not, nothing else can help us. The second thing in these statements by Jesus is that it takes time to ultimately discern what is blessing and what is woe anyway, so it is matter of trust in God. Did you notice how often Jesus mentioned the descriptor “now” in his sayings? There is no particular blessedness in being poor, or sad, or hungry. Many poor people are very unhappy, and feel very unblessed. But Jesus is reminding us that those who are poor now may be rich in other ways, and given enough time, they may be rich in financial ways too. Colonel Sanders, of Kentucky Fried Chicken fame, made and lost millions several times across his lifetime before his began the chicken franchise that bears his name. Sometimes it is too soon to pronounce whether a person is a success or failure. Just give them time. Any great thing cannot be accomplished alone, by a single individual, And so we are saved by love. And any great endeavor takes more than a single lifetime to accomplish, And so we are saved by hope. Jesus is asking us to take the long picture, to think of life from the perspective of eternity, to look at things from God’s point of view. When we do, temporary conditions lose their power to define us. All that matters, in the end, and therefore in the meantime, is whether or not we have defined our lives by the primary relationship of them all, God Himself. It will not matter if the entire world applauded our pursuits and accumulations. All that will matter when the final act is played, and the final curtain is drawn, is whether a pair of Divine hands was clapping in the audience. Years ago, a mother in Nashville, Tennessee, gave birth prematurely to a tiny baby girl. Shortly afterward, the baby caught pneumonia. Next, the baby caught scarlet fever. Finally, she contracted polio. The last illness left one leg badly crippled and her foot twisted inward. When the little girl reached the age of five, she hobbled about on metal braces while the other kids ran and skipped rope. When she reached eleven, the handicapped girl asked her little sister to stand watch at the door while she practiced walking without the braces. She didn't want her parents to catch her walking around without the braces on. For a whole year the girl continued her secret walks. Then one day she began to feel guilty about them. So, she told her doctor what she had been doing. He was flabbergasted. He agreed to let her continue, but only for short periods of time. Well, the girl's idea of a short period was far different from the doctor's idea. And to her periods of walking without braces the handicapped girl added periods of prayer. To make a long story short, that girl eventually threw away her braces for good. I think this little story fits beautifully with today's gospel. For it illustrates an essential truth of life that we all need to hear time and time again in life. It reminds us in a dramatic fashion that perseveranceis one of the greatest powers in the world. Peter and his friends had fished all night without success. Had it not been for Jesus' words to them, they could very easily have finished their day of work without nothing to show for it. But Jesus persuaded them to try one more time. They did, and we know what happened. That try made the difference between success and failure. The story of Peter and his friends I think opens for us another insight about life - it is this - Things changed for the disciples - when Jesus became involved with the process! The previous castings of the net - perhaps 20 or 30 in the course of the night - were done on their own. But in the final casting, Jesus became involved. And that's when things took a 180-degree turn. That's when things exceeded their wildest dream. With this in mind, let's return to that little girl in Nashville who threw away her braces - her story didn't end there. Something happened to her that exceeded her wildest dreams. The girl began not only to walk without braces but even to run. And she ran and ran and ran. At the age of sixteen, this incredible girl qualified for the Olympics in Melbourne, Australia, and went on to win a bronze medal in the women's 400-meter relay. And four years after that, in the 1960 Olympics at Rome, she became the first women in history to win three gold medals in track and field. That girl was none other than Wilma Rudolph. Wilma came home to a ticker-tape parade and a private audience with President Kennedy. She was given the Sullivan Award, naming her the nation's top amateur athlete. 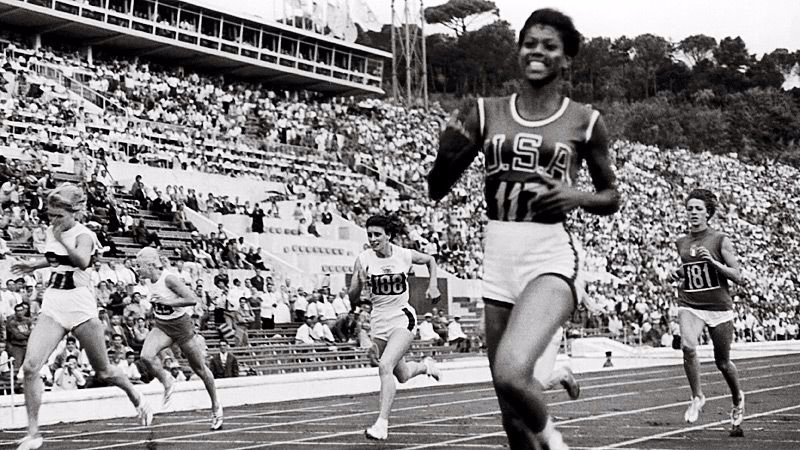 Wilma Rudolph is a living example of the power of perseverance. She is a tribute to the power and potential of the human spirit. Her life dramatizes that no handicap - no matter how great - is a match for the two creative forces in our life that can make all the difference perseverance and prayer. When we are willing to put those two realities in life together - and, if it be God's will - you and I can experience what we might so easily dismiss as the impossible in our life - exceeding our wildest dreams. The key, however, between ultimate success and failure in life, is our willingness to persevere - not alone - but with the Lord ever at our side. 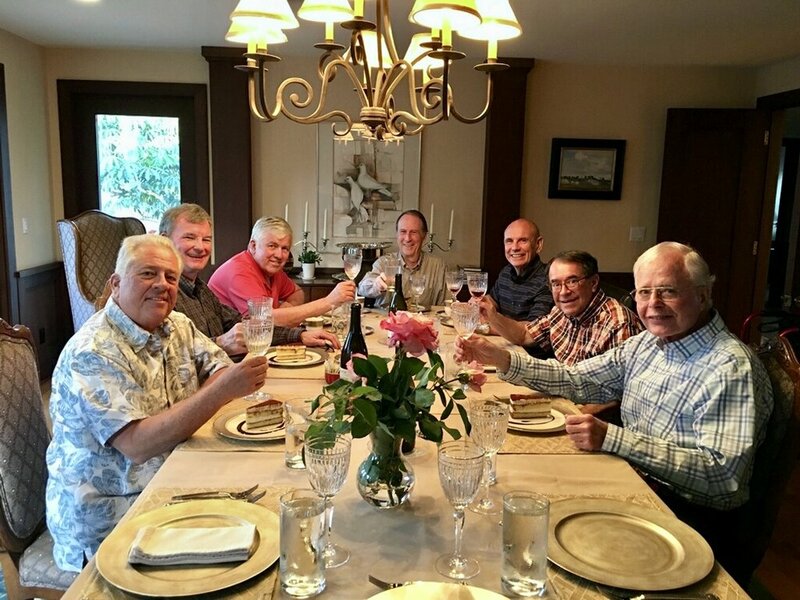 One of the great privileges of every priest is to be called to share in the intimate and most personal moments in the journey of life of the people he serves. From the wailing cries of new and vigorous life in baptism to life’s final breath as we gather to mourn the death of our loved ones - each of these moments are utterly unique and moments of grace and blessing for those of us called to proclaim the gospel in the midst of life’s journey. It is sometimes a challenge for us to emotionally change gears from celebrating a baptism in the morning and then hours later to bring comfort and solace to grieving a family as they take leave of a loved one. Yet, even in these poignant and painful moments there is grace and blessing. As I often listen to the beautiful and moving eulogies given by family and friends on the occasion of these funeral celebrations, one cannot help but wonder - what will be said of us when our moment of passing from this world to the next will come? What will be our legacy, the lasting remembrance of our lives here on earth? As Christians you and I are called to leave a lasting mark on this world in which we have lived. God’s word which we have heard proclaimed this day speaks of the role of the Prophet in the life of the community. The Prophet is one whose life has made a difference for the good in the community in which we have lived. Jeremiah was the conscience of Israel, calling them back to faithfulness in walking in the way of the Lord. Jesus, in the great tradition of the prophets before him, transformed our world and our lives not only by his words but far more powerfully by the witness of his life lived for others. As the baptized, you and I have been called to share and live this same calling of the prophet in our world today. Some among us will live that identity in profoundly dramatic ways raising our voices and laying down our lives for the truth of the Gospel. For instance, Archbishop Oscar Romero, recently canonized as a saint of our church, lived his prophetic calling as a Christian eventually giving his life in defense of the poor and powerless of El Salvador. However, the vast majority of us will live out our prophetic calling to make a difference in our world by striving to live what St. Paul spoke so eloquently about in the famous 12thchapter of his First Letter to the Corinthians which we have heard today. In a world and society that is so often caught in a cycle of violence, where the misuse of power and moral compromise has become a way of life; where the dignity and value of each person is often determined by their usefulness and productivity rather than their inherent goodness as a child of God - in the midst of this world, we are desperately in need of prophets. We need the prophetic witness of husbands and wives who take their vows seriously and have learned the power of a love that is patient and kind - a love that can trust and hope and endure whatever may come. We need the prophetic witness of men and women in the workplace and community who do not brood over injuries but have discovered the transforming power of forbearance and forgiveness. We need the prophetic witness of youth who have come to know the power of living lives of integrity - not putting on airs, not snobbish, rude or self-seeking, but living and rejoicing in the truth - knowing that the truth will ultimately set us free to fashion a better and more just world. My brothers and sisters, let us pray for the grace and strength to live the life of the prophet in our families, neighborhoods, jobs and communities. May that truly be our lasting and greatest legacy as followers of the Lord. The content of this post is somewhat different from the one’s I generally post in my Blog; however, it is my hope that readers will find it not only of interest but a commentary on a critical issue for a growing number of users of prescription drugs. As many of you know, some ten years ago I was diagnosed with a rare neuromuscular condition called primary lateral sclerosis. This condition primarily impacts the upper motor neurons in the brain that control voluntary muscle movement, adversely impacting my ability to walk normally as well as my balance together with the impacting the muscles that control speech. Thankfully, it progresses slowly and I have fortunately received exceptional medical care by my neurologist connected with UCI. Approximately five years ago, I began to notice that I was having a difficult time controlling my emotions, particularly unexpected moments of both crying and laughing. I would be watching the evening news (not just stories about Trump!) and a story would come on about a tragedy or soldiers dying in combat and I would find myself breaking down and crying unexpectantly. On the other hand, I’d be watching a comedy and something humorous would trigger laughing over and beyond what would be my normal response to something funny. Fortunately, there is an FDA approved drug to address this condition. It is called Nuedexta and it is made by a local pharmaceutical company here in Orange County, Avenir Pharmaceuticals. Amazingly, the drug is a simple compound of two very old and common ingredients: Dextromethorphan that is found in many over the counter cough syrups and quinidine a drug that has been on the market for years as an antiarrhythmic medication. The price for these drugs is cheap, really cheap! For a number of years, I was able to control the condition but in the last two years it was becoming more and more bothersome, particularly in public. I’d be talking about my experience on 9/11 or even simply hearing the National Anthem, and I’d break down in crying. My doctor wisely encouraged me to begin the medication this past summer. After five days of taking the samples he gave me, I found that appropriate emotional control had ‘miraculously’ returned to normal levels! There were only very slight initial side-effects that subsided in a matter of days and I thankfully could engage in conversations without worrying about a topic that might trigger a crying episode. That’s the good news of this story. The bad news introduced me personally to the Byzantine world of ‘big pharma’ and the insurance industry and the sky-rocketing cost of drug pricing in this country. After the initial sample was completed, I called in the script for the medication. To my shock, a 30-day supply of the medication was over $ 1000.00 and with my insurance it was $ 900.00 a month! My doctor and his staff then began the onerous appeal process with my insurance carrier. It appears that this appeal process is still in process, going on over five months! At each level, they reject an appeal for any lowering of price. At this point I am not terrible optimistic that the pricing will be lowered. 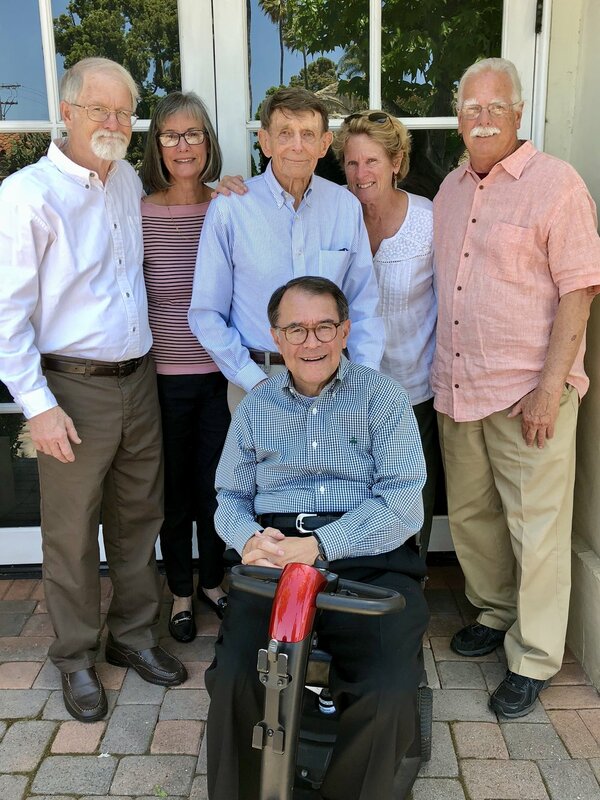 The Diocese of Orange has an exceptionally good and generous medical coverage for its retired priests. Our supplemental insurance plan to Medicare is excellent together with our prescription drug coverage through United Health Care. I have been assured that the Diocese will cover this expense even if it is not covered by our insurance carrier. However, at this point I refuse to saddle the Diocese with this kind of outrageous expense without a fight. Fortunately, as my doctor and his staff battle with the insurance company, they are supplying me with free samples of the drug. 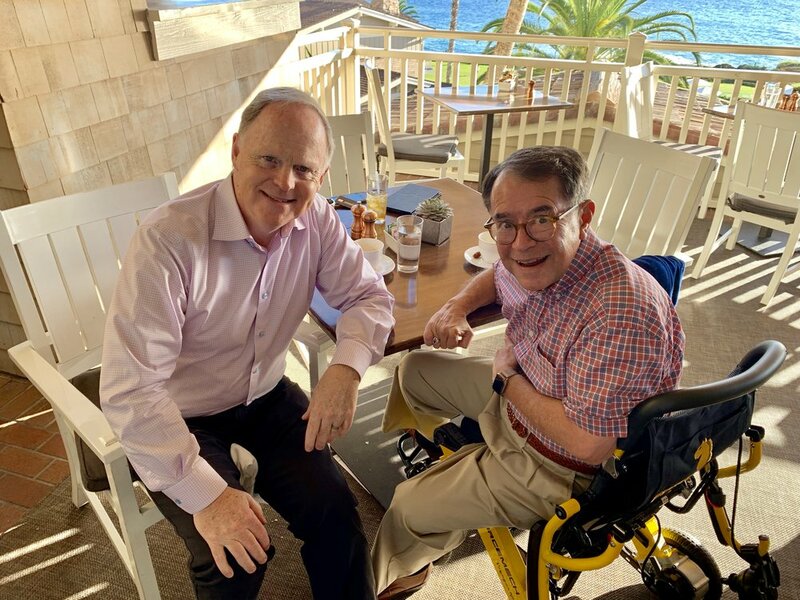 My story is only a small chapter in the incredible challenges that so many in our country face who do not have the quality insurance coverage that I am fortunate to have and are faced with truly outrageous drug pricing for a variety of illnesses. Of course, research and development in new and effective drugs requires appropriate funding. However, it is clear that someone is making out like bandits in this scheme to gouge the American public in drug prices that are truly out of bounds. For those who have stuck with this story this far, the following video provides additional information on this drug. My only quibble with it is that, in my case, the drug has proven to be extremely effective in addressing my condition. In the days following news of this sensational announcement spread like wildfire. At 10 o’clock the following Sunday the church was full. There were funeral wreaths up front, and an open coffin. The Pastor announced that before beginning the Mass, he wanted everyone to come forward to pay their respects to the deceased. As people filed by, they got a shock. The coffin was empty – save for a large mirror. Each person looking in at the deceased saw a picture of himself or herself. 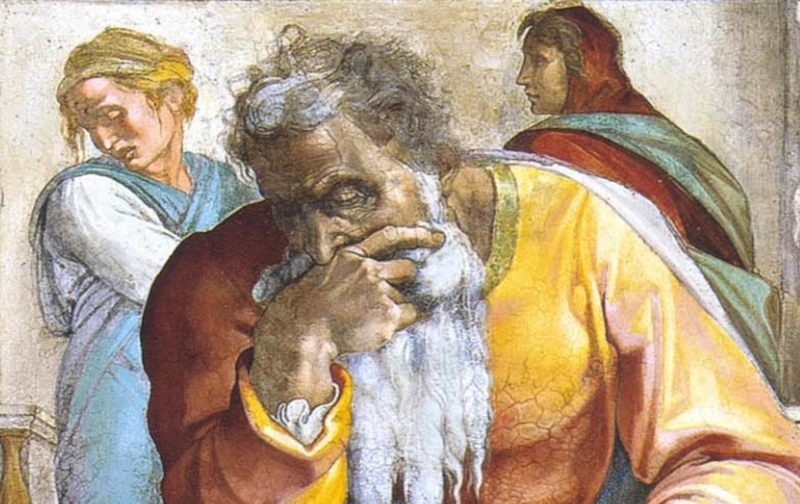 My brothers and sisters, I have told you that story – and of course it is just a story – because St. Paul is saying something very similar in our second reading. “You are Christ’s body,” he writes, “and individually parts of it.” And Paul goes on to say that though Christ’s body has many different parts, each with its own function, there are no unimportant parts. Where did Paul get this idea that the Church is Christ’s body? He got it in the event which changed his life: Paul’s dramatic encounter with the risen Lord on the road to Damascus. That encounter was so important to Paul that it is recounted three times over in the Acts of the Apostles. We find it first in chapter 9. You know the story. “As Saul [his Jewish name, for he not yet received his Christian name of Paul in baptism] approached Damascus, a light from the sky suddenly flashed about him. He fell to the ground and at the same time heard a voice saying, ‘Saul, Saul, why do you persecute me?’ ‘Who are you, sir?’ he asked. The voice answered, ‘I am Jesus whom you are persecuting.’” Note Jesus’ question: not, “Why are you persecuting my followers, or my Church?”, but “Why do you persecute me?” Paul’s insight, that Jesus’ followers, born into the Church by baptism, comprise Christ’s body,came straight from that question, and that encounter. But what do we really mean when we say that the Church is Christ’s body? No one has stated it better than the sixteenth century Spanish Carmelite, St. Teresa of Avila. This is what she said: Christ has no body now on earth but yours; no hands but yours; no feet but yours. Yours are the eyes through which he is to go about doing good; yours are the hands with which he is to bless people now. My friends, do we really believe that? Do we believe that the Church is not just the clergy and other religious professionals, but all of us? Many Catholics today do believe that. But not all. Old habits die hard. Some of our ways of speaking betray a different view. We hear people saying, for instance: “Why doesn’t the Church do something” about this or that problem? Or when a young man is ordained a priest, people say: “He went into the Church.” In both of those examples the assumption is that the Church is synonymous with the clergy — and today perhaps other religious professionals who work with the clergy. That older view of the Church sees the laity as something like customers in a filling station. If they are good customers, they drop into the station weekly to fill up their tanks. When they need a tune-up they may go to confession. Otherwise the customers are content to leave the running of the station to others. There are still Catholics who think that way, and act that way. They like that model of the Church. It is easier, and less bother. I called that the older view of the Church. It is not the oldest view, however, and certainly not the original view. The original view is the one set forth by St. Paul in our second reading. The Church is Christ’s body. That means that the Church is all of us. We don’t just go to church. We are the Church. If the Church is truly Christ’s body, and not just a spiritual service station, then there can be no passive customers. We are all called to be active messengers of Christ’s mercy, healing, and liberating love. So often we think of our religion as a striving after high and distant ideals which constantly elude us. That is wrong! Being a follower of Jesus Christ never means trying to become something we are not. It means living up to what, through baptism, we already are. 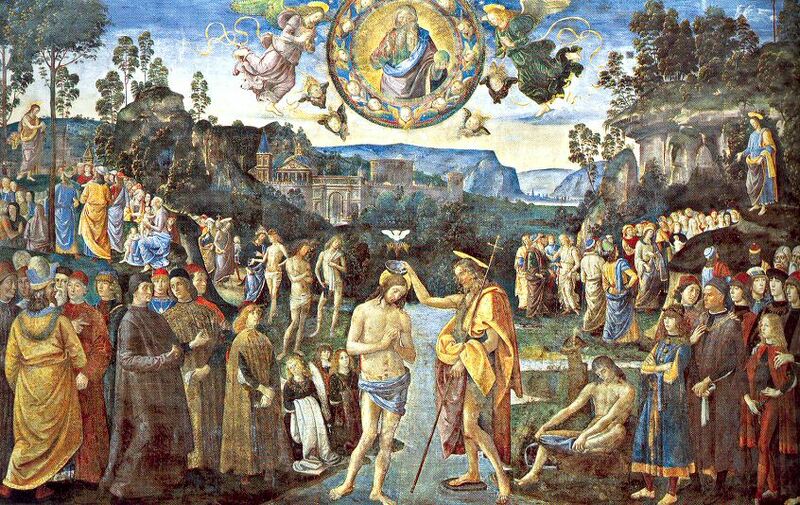 In baptism we were born into the great family of God called the Catholic Church. We became, in Paul’s language, members of Christ’s body. None of the members is unimportant. None is passive. The differences between the members of Christ’s body are differences of function. Paul lists some of these functions at the end of our second reading: apostles, prophets, teachers, the doers of “mighty deeds,” healers, administrators. All are equally important. And all of us, as members of Christ’s body are joined in intimate fellowship with one another. Together we all have an intimate relationship with the head of the body: Jesus Christ, our Savior and our Lord – but also our brother, our lover, our best friend. One of the enjoyable and ministry enriching experiences that every priest is privileged to have is to preside at wedding celebrations. We priests have a special perspective as we look into the eyes of brides and grooms as they come before God’s Holy Altar – a perspective that is sometimes missed by the congregation. There is that special moment when the doors open and the groom sees his bride for the first time bedecked in her wedding day splendor. For some of the guys the emotion of the moment is just too much as they do everything possible to control their uncontrollable emotion. As they nervously kneel on display in front of their families and friends, we see the little gestures of endearment that each gives to the other as the special moment in their lives unfolds. The touch of a hand, the knowing look, the gentle wrestling to get the ring on the other’s finger, a loving embrace. Yes, these gestures all reflect the special joy and grace of this moment. However, the journey is just beginning. I often tell couples that not every day of their lives together will be the golden, joy-filled peak emotional experience of their wedding day! There will be challenges, there will be moments of heartache, there will be times where romance can indeed give way to disillusionment. Yet, that is indeed the case for all of us in the human journey of life – no matter what way of life God calls us to. However, my friends, we never face those moments alone. As the Body of Christ, we are called as a Church to give support and encouragement to all who selflessly give themselves to another in Holy Matrimony. 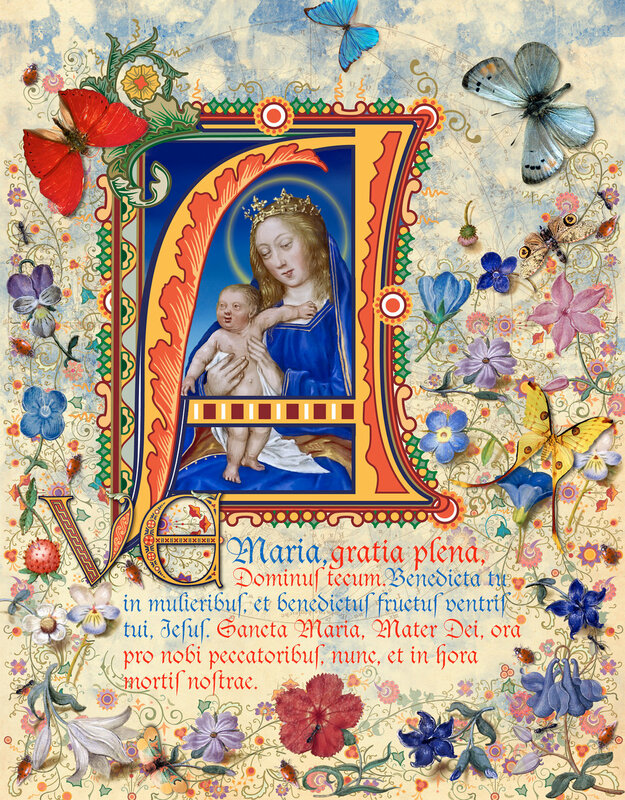 As we enter into Ordinary Time in our liturgical calendar and leave the Christmas Season to be celebrated again next year, it is providential that God’s word sets before us Scriptures that speak to us of the most fundamental reality that grounds our society – the gift and promise of marriage. Our Catholic theology beautifully tells us that in the ordinariness of love between a husband and a wife something profoundly important, something exceptionally extraordinary, is revealed and disclosed to us about the way that God himself loves us. We call marriage a sacrament in our Church, not because the Lord Jesus created marriage – which of course he did not – but rather he embraced this fundamental human reality and made it the opportunity for us to see through this human and profound love to the way that God himself loves us. For God’s love for us is permanent, faithful and life giving. As a priest, I can only point to the contours of the mystery that marital love is for us as members of the Church. My knowledge is theoretical and for that reason only partial. That is why we hold up in our Church all couples who have given themselves to each other in Holy Matrimony as a living theology of the beauty and intimacy of God’s love for us, his holy people. In many respects, Marriage is an endangered reality in our world and culture today. Most of us are aware of the tragic and painful reality of marital failure. While upholding the dignity and sanctity of Marriage, we are also a Church of healing and understanding for all whose lives have been painfully impacted by marital failure. We must never forget the wise words of “Dear Abbey” who reminded us many years ago that the Church is not a “Museum for Saints, but a Hospital for Sinners!” And so, as we extol the beauty and grace of marriage together with a realistic understanding of its challenges, we pray and support within our Church who have had to face the crucible of marital failure. We pray that the Lord who knows “our heart of hearts” will grant our sisters and brothers the grace and courage to move through this difficult journey in life with dignity and integrity. As we reflect on the gift and promise of Christian Marriage, let us remember this day all couples who share this wondrous sacrament, that the Lord will deepen the love given and received however many years ago. That through that love and intimacy, all of us might come to see a glimpse of the way the Lord himself loves us, his Holy People. Indeed, these moments of grace not only anchor our faith as Catholics, they express the faith of the Church, what it is we believe about coming to life in Christ, experiencing his healing mercy, as well as our call to mission and ministry in the life of the Church of Christ. As we gather to formally bring to a close the Christmas Season on this Feast of the Baptism of the Lord, it is an opportune time for us to reflect on this first and foundational sacrament in our journey of faith. We have all heard the expression, ‘blood is thicker than water,’ to express the intimacy of relationship that exists with our families. Paradoxically, however, through the waters of baptism an intimate relationship is forged with all who are made new through these waters of grace and blessing. For in baptism, each one of us becomes a son or daughter of the Father, brother or sister in Christ and to one another. In many respects, together with the Eucharist, baptism is the sacrament that forges this divine communion with one another and the Lord. We sometimes hear folks talking of ‘Catholic’ baptism or ‘Lutheran’ baptism or ‘Presbyterian’ baptism. While such terms have commonly crept into our vocabulary, it is important to keep in mind that there is really only one baptism, and that is Christian baptism. For it is this sacrament shared by so many Churches that share a common belief in a God who is Father, Son and Holy Spirit, that binds us all together as members of the common household of the Christian faith. Sadly, over the centuries, that household has become divided. Divergent traditions and expressions of faith have developed. Yet, these differences in belief can never erase the common identity that we share as the baptized of the Lord. St. Paul in his letter to Titus, beautifully captures the deepest meaning of this sacramental moment that radically has changed your life and mine. Justified and saved by the grace of Jesus Christ our Savior – that, my friends, is the unmerited gift and hope that we share in this first sacrament of the Lord’s unfailing Love. Who were these “magi from the east,” who set out to follow a star and found instead “the child [Jesus] with Mary his mother”? We know the magi from other translations as “the Wise Men.” To their contemporaries they were not wise. They were crackpots who were not playing with a full deck. Who were they in reality? They were not content with routine, with life as they found it. They wanted more. Yet the Wise Men were not idle daydreamers. They were willing to abandon routine, to set out on what seemed to everyone but themselves a madcap journey, following a star. People are searching today – searching for answers to life’s mysteries. If this is God’s world, people ask, why does he permit so much pain, injustice, and suffering? Must we always live under the threat of international terrorism? How can we master the dark forces within ourselves that threaten to drag us down from the highest and best that deep in our hearts we want, and to destroy our inner peace: dark forces like envy, hatred, lust, resentments, sloth, and the self-centeredness of conceit and pride? Is death simply the end, like the snuffing out of a candle? Or is there life beyond death? Those are just some of the questions that perplex us today. There are many more. Sometimes it seems there is no end to life’s questions, problems, and mysteries. When we are tempted to fear that there are no real answers to our questions, because life at bottom is meaningless, the Wise Men can help us. Like us, they were searchers. But they were more. The Wise Men were discoverers. The One whom they encountered as a baby would speak about this joy three decades later. He would tell of the shepherd’s joy at finding his lost sheep; of the woman’s joy at finding her lost coin; the joy of the dealer in precious stones finding one day in the bazaar a pearl so large and flawless that it made all he had seen and owned up to then seem cheap baubles by comparison; the joy of the day laborer at discovering in his employer’s field an unsuspected treasure that would change his life. For all these people the joy of discovery was purchased at the price of lengthy searching. Even the laborer accidentally finding the treasure buried in the field he was plowing had behind him years of grinding toil, when the very idea that he could ever rise above the subsistence level seemed ludicrous. The Wise Men’s joy was purchased at the price of perseverance in the face of many defeats and the scorn of those who thought them mad. Our own search for answers to life’s mysteries is – whether we know it or not – a search for the One whom the Wise men found. It is a search for God. The search is not in vain. God can be found. God wants to be found. We think the search is all ours. In reality, God is already searching for us. The One who led the Wise Men by the shining of a star leads us onward by the powerful attraction of his love, shining in the face of his Son, Jesus Christ. For us, as for the Wise Men at the end of their search, great joy awaits: the overwhelming joy of knowing that we have been found by the One who, all along, was searching for us, though we never realized it at the time. Matthew tells us that in the joy of discovery, “they prostrated themselves and did him homage. Then they opened their treasures and offered him gifts of gold, frankincense, and myrrh” – the most precious, and the most costly thing that each possessed. The end of the search, then, is neither the discovery nor the joy. When at last you have found the One who, all along, has been searching for you, everything is transformed. The only fitting response is worship. So who are the Wise Men? They are our fellow travelers on life’s pilgrimage. Matthew leaves them nameless. Hence they can bear our names. Wise is every Anne and John and Mary and David who is not content with life as it is; who is willing to break with routine in order to search for answers to life’s mysteries; who refuses to admit that life is meaningless, but continues to search for answers and meaning despite all difficulties and discouragements. Yes, wise are all those who persevere in this search until it ends in joy – and joy gives way to worship. Who, then, are the Wise Men? The Wise Men are ourselves, in God’s plan and according to God’s will. One thing alone can prevent the accomplishment of God’s plan and God’s will for your life: your own deliberate and final No. “And having been warned in a dream not to return to Herod,” we heard at the end of the gospel, “they departed for their country by another way.” The Fathers of the Church say that this was natural: no one comes to Jesus and goes back the same way he came. The encounter with the Lord changes us. We go home from worship changed, because here we have been brought into the bright circle of God’s love – not just to give us a warm feeling inside, but so that we may share that love with others: Jesus’ sisters and brothers – and ours too. Not long after his surprise election as the successor to Pope Benedict, Pope Francis surprised many in selecting the island of Lampedusa as the destination for his first papal visit outside of the city of Rome. Lampedusa is an island off the Western tip of Sicily. Since the early 2000’s, Lampedusa, the European territory closest to Libya, has become a prime transit point for illegal immigrants from Africa, the Middle East and Asia wanting to enter Europe. The treacherous journey from Africa in waters that are prone to sudden storms and strong currents has tragically been the occasion of the death of thousands of these migrants, including whole families. Pope Francis’ decision to visit this island and to call the world’s attention to the plight of these refugees has become a stinging indictment of the complacency that these refugees face as they seek freedom from tyranny and a better life for their families. As we gather in faith, basking in the joy of the Feast of the Nativity, the Sunday following Christmas is always dedicated to the Holy Family of Jesus, Mary and Joseph. 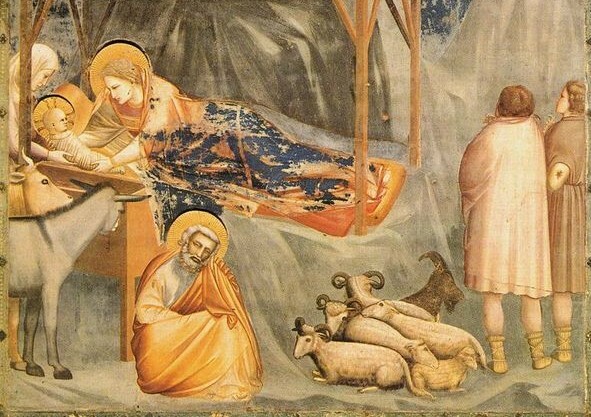 In the mysterious unfolding of Salvation history, God our Father choose to reveal His Son as a member of a human family with Mary his Mother and Joseph as his foster father. Touched by so great a gift, all families are ennobled. When we hear the word, ‘family’ it is easy for us in our American culture to think immediately of what social scientist refer to as the ‘nuclear’ family of father, mother and children. Yet, for the vast majority of other cultures around the world, that word ‘family’ is understood in an expansive and extended way to include grandparents, aunts, uncles and cousins crossing generations. The notion of the ‘extended’ family speaks of the profound interrelatedness that we have as members of the human family. For people of faith, there has always been a core belief in the intimate bond that exists among all God’s children. As daughters and sons of a loving father, we are called to see in our neighbor as a brother or sister in the human family. One of the most tragic ironies that can mar the true face of all religions is to deny this foundational belief. Jonathan Sacks, the former chief rabbi in Britain, argues this point in his remarkable book, Not in God’s Name: Confronting Religious Violence. Hechallenges believers to face this painful fact. He states, too often in the history of religion, people have killed in the name of the God of life, waged war in the name of the God of peace, hated in the name of the God of love and practiced cruelty in the name of the God of compassion. He insists that when religion turns men into murderers, God weeps. To Cain’s perennial question in the Book of Genesis that reverberates down through the centuries: “Am I my brother’s keeper?” God’s unfailing and consistent response has been a resounding ‘yes!” As Christians we are called to nurture bonds of solidarity and communion with all the members of God’s family here on earth. In doing so we can give the most credible evidence of the heart of what it means to bear the name Christian. There was a lovely and poignant story that appeared toward the end of November some years ago as Churches around the country prepared to celebrate the Advent Season. José Moran, a janitor at Holy Child Jesus Church in Richmond Hills, in Queens, New York had just completed setting up the traditional manger scene in the Church – if I might add a personal liturgical opinion at this point – a bit early for my taste! Shortly afterward, as he was doing his usual cleaning of the Church in anticipation of the weekend masses, he heard the sound of a crying child coming from the direction of the Nativity. As he neared the Nativity display, there, lying in the manger was a newborn child with his umbilical cord still attached. He ran to the rectory to notify the priest, Fr. Christopher, a recently ordained priest. Both of them immediately attended to the needs of this tiny child, wrapping him carefully in a small towel as they notified authorities. Upon investigation, it appears that this little fellow was apparently abandoned by his mother who desperately wanted a home for a child she could not care for. Fr. Christopher, said, "God has a way of working mysteriously because I believe when this woman who came in with this child, saw this creche, this empty home, this home in which we'll welcome Jesus in just a few short weeks, I believe she found in it a home for her child." My friends as we once again mark and celebrate this feast in which we with grateful hearts remember the birth of the Savior, this lovely story points to a profound truth of our faith – a truth that is meant for you and for me this day. Each and everyone of us is like that small child. For through the mystery of the Incarnation, our loving Father in His Son, Jesus, has reached out to make a home for us in His Heart. From the very dawn of creation, God’s loving plan for the human family was to enfold us in his creative and unfailing love. Yet, humanity turned from this invitation and embrace seeking its own way in a fragile and broken world. Yet, God’s love and mercy is unrelenting. Through Prophets of old, the call to return to that original embrace was proclaimed time and time again. Finally, in the fullness of time, the God who lives in unapproachable light, embraced our humanity, making his home with us in the vulnerability of a newborn child. That, my friends, is the meaning of the Christmas mystery – the good news that you and I are never alone, never abandoned no matter how frightening this world of ours might appear. No, we are never alone. And our response to so great a gift? Just one wonderful word – Gratitude. And so on this Christmas Eve we come to this Table of Grace and Blessing with grateful hearts to say ‘Thanks’ to our King of Kings and Lord of Lords, whose name is Jesus, the Savior of the world. There was a terrible shipwreck and only one man survived, cast ashore on a tiny island with nothing but the clothes on his back. For a while he hoped for rescue. But in time he knew he had to make a life there on the island. And that is what he did. He taught himself to fish and hunt, to garden and cook, and he built himself a charming little cottage overlooking the bay. He even carved a tiny flute which he played every night after supper. One day he hiked to the top of the mountain at the center of the island to see what he could see. As he reached the top, what he saw was a tower of smoke and his little cottage going up in flames. He ran down the mountain as fast as he could. But it was too late. The cottage was in ashes – and – his flute, his garden, his tools, his bow and arrows – everything he’d made with his own hands was gone, all gone! My friends, when all seems lost and we can feel our emptiness and feel our aloneness, God has a way of surprising us. If our hearts are open, God has a way of filling us in a way we’d least expect. And that’s precisely the insight that the Lord sets before us today in the Gospel of Luke. Elizabeth, a childless old woman, and Mary, a peasant girl with no prospects, come together in a tiny country village to share a secret that no one else yet knows: God had not left them empty. As they meet, God is filling the two of them with new life that will be a joy for all their people and that remains a joy for us today. And so, they hug and kiss and cry for joy because they know that God has not forgotten his people or left them empty. And never will. Jesus is God’s living promise never to abandon or forget us, but always to be a life giver for us. God can give us life even in the worst and emptiest of times, even when all seems lost if we let go of the inner barriers of despair, anger, and distrust. God can open the doors of a new world for us and fill our emptiness full – just as he did for Mary and Elizabeth. God can do all that if we let him. Come, Lord Jesus, come now. Take away our emptiness. Fill us with your presence and make us your own! Amen. For over four decades I have carefully prepared each Advent Season, Christmas cards sent in the traditional ‘snail-mail’ fashion to dear friends. With advancing age and the ease of digital communication, I hope you don’t mind this more ‘contemporary’ form of delivery via my Blog! 2018 has been a blessed year. I continue to thank the good Lord for his many blessings with a special prayer of gratitude for a loving and caring sister, endearing and supportive friends as well as relative stability in health. I have been fortunate that there have not been any substantial changes to my neurological condition other than a bit slower speech. For that, I am grateful. My consultation work on our soon to be completed Christ Cathedral continues to be extremely gratifying. All major construction should be completed by March or April of 2019, with its Solemn Dedication set for July 17, 2019. The very last element in the renovation/restoration project will be the reinstallation of the completed refurbished Hazel Wright Memorial Organ with its over 17,000 pipes! While it will not be readied for the Dedication, when it is, later in the year, there will be an additional celebration to mark this milestone. 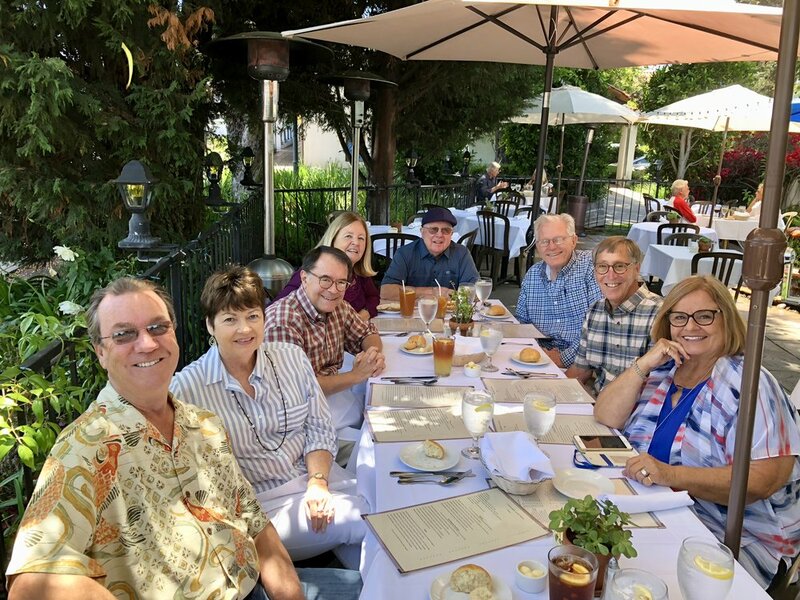 Melinda and I have enjoyed a year filled with opportunities to celebrate our friendship with so many good friends over lunches and dinners. Being a dog-lover, I have valued my times with my good friends, Chuck & Christine Dow and their brood of 3 dogs, Bella, Roxie and Max! Saturday morning breakfasts ‘with the dogs’ have become a weekly ritual. Retirement has provided a marvelous opportunity to indulge my great passion for reading, the fruit of which I’ve generously shared on Facebook. The present political climate has certainly fueled no end of ‘fascinating’ commentary! May the New Year that is soon upon us be a time of grace and blessing for you and your loved ones as we prepare to soon celebrate the Feast of the Incarnate Lord of Life and Love. May His peace reign in our hearts and homes this coming year. Gathering on this Third Sunday of the Advent Season with its traditional name of “Gaudete” or “Rejoicing” Sunday, we hear that familiar theme spoken of not only in our first reading from the Prophet Zephaniah, urging us to ‘shout for joy,’ but more importantly in our second reading from Paul’s letter to the Philippians – ‘Rejoice in the Lord always, I shall say it again, rejoice.’ Well folks, no matter how many times we may say that word these days it is not going to magically dispel the understandable fear and paranoia that seems to be gripping our world and our society. The specter of terrorist attacks the world over, like the most recent attack that shattered pre-Christmas festivities in the Strasbourg Christmas market, haunts so many of us since 9/11. That term, paranoia, is defined as ‘a thought process heavily influenced by anxiety or fear, often to the point of irrationality and delusion. The concern that grips our land is far from irrational. Ever since the defining terrorist attacks that occurred on 9/11 in our country, it is understandable that the specter of apprehension in the face of today’s present menace of fundamentalist jihadi terrorists is a present reality. Any responsible nation concerned with the security and common good of its citizens does well to be appropriately responsive to such real threats. This fear, however, becomes irrational and delusional – indeed paranoid – a word from the Greek that literally means, ‘out of one’s mind’ – when it becomes unhinged from reality. When it becomes an obsessional reality fed by the often opportunistic ravings of the irresponsible. The Advent Season for us as Christians is a clarion call for each of us to replace paranoia with metanoia– the beautiful Greek term that means the conversion of our minds and hearts to the one who ultimately can calm all our fears with the transforming power of His hope and His promise. It was this reality that was at the heart of the preaching of the last and greatest of the Israelite prophets, John the Baptist. Paranoia invariably has the tendency of causing those who are victimized by its irrationality to go inward – destructive voices are heard in one’s mind, everyone is out to get us, fear surrounds us at every corner. Whereas, the message of metanoiaor conversion that John preached is a challenge to his hearers of every age to go out of oneself in order to truly find the meaning that gives all life value. Metanoia – or a change of heart, is living a life that in many respects is counter to the exultation of the self and the narcissism that surrounds us daily. Metanoia living is quite simply the essence of the Christian way of life that tells us that life will only truly be found if we are willing to give our lives away in service to others. The most profound example of this kind of living, will of course be found and celebrated in the mystery of the Incarnation for which these days of Advent prepare us. For in the mystery of Christmas, the God who lives in unapproachable light, embraces our human nature, becomes like us in all things but sin, so that fear might be transformed by hope, loneliness by divine communion, death by the gift of eternal life in his unfailing and merciful love. As the great feast of Christmas approaches, may the gift and meaning of this feast truly touch the minds and hearts of so many who continue to live in the shadows of fear, so that its grace may indeed free and empower us with its hope and promise. Do you remember the television game show from the 1960’s, To Tell the Truth? Three people tried to stump a panel of celebrities, all three of which claiming to be someone who had accomplished an unusual feat. The panel tried to guess which of the three was telling the truth. It was harmless enough. But it also showed how persuasive and tricky lying could be. Sometimes it is hard to tell who is telling the truth, isn’t it? Don’t you wish there were a little buzzer that went off when someone told a lie, exposing the deceit before any damage could be done? But there is no such buzzer. There is no spell that makes a person’s nose grow like Pinocchio’s when they lie. In fact, even when a person swears with their hand on a Bible in a courtroom, under penalty of perjury, they still may not be telling the truth. As a result, we are all a bit jaded these days, wondering whom to trust, wondering who is really telling the truth. We long for the legendary honesty of George Washington and the cherry tree. What ever happened to politicians who could say, “I cannot tell a lie?” Of course, the outstanding majority of those in honorable professions are scrupulously honest; and that is why the deception of a small few makes the headlines. But the damage to our national psyche is done nonetheless. Does anyone really tell the truth these days? Or is the truth so twisted by spin-doctors that it simply does not exist these days? We are not the first generation of humans to ask this question. In the dawning days of the New Testament the people were facing the same despair. There was no lack of people who had climbed the ladder to success by twisting the truth to their own benefit, like Herod the King. There was no lack of religious leaders who had learned the fine art of political correctness, soft-peddling the truth lest the powers-that-be become offended, or their own position of power be threatened. There was no lack of tax collectors and Roman soldiers who were corrupt, bending the truth in whichever way suited them. But into this caldron of half-truth and deception, what happens? God sent a messenger named John, with a new word of pure truth. We tell his story these days of Advent to remind us that truth always wins in the end, even if the person who tells it is killed for telling it. My friends the truth is, we are all dying to hear the truth, the real truth. Like the game show, we want to say, “Will the person telling the truth please just stand up?” And John the Baptist stood up. But the real challenge for us in this day and age is how can we be people of the truth too? To tell the truth means a person must have a moral center, a sense of truth that keeps them anchored to integrity. No one sets out to be a serial liar, any more than a person intends to become an alcoholic. It is a slow drift, an almost imperceptible slide across time. The first lie is a small one, an impulsive dodge of a question whose truthful answer would get us punished for a small misdeed. Soon, we learn the art of half-truth, of diplomatic word-smithing, of situational ethics. By the time we are pathological liars we have developed the skill so well that we cannot even tell where the line is between truth and deception anymore. Is there any hope for a person like this, or for a culture like this? Well, yes, there is. Telling the truth is a choice. And it is a habit, a discipline. And ultimately, it becomes a matter of character. My brothers and sisters, as a people of hope, it is never too late to reverse the course of our lives. But the first place to go is to the very heart of the person, to secure the heart in the only Source of all truth, God Himself. Truth-telling is not just a matter of a New Year’s resolution, like losing ten pounds or organizing the tax receipts better. Turning from a life of deception to a life commitment to truth-telling begins by anchoring oneself to the God who is all truth, in whom is no shadow or deception at all. It is a faith matter, at its core. The more a person ties their sense of truth to the God of truth, the more likely that person is to resist twisting the truth to their own benefit. God can redraw that line between truth and falsehood for us, etching it gently but firmly into our psyche until a little buzzer does go off in our brains when we step across it. And then, the more we practice telling the truth, the easier it becomes, until after a while it hardly seems like a choice anymore, it just feels right. Because it is right. John the Baptist had such an anchor in God. He feared God, that is, he respected only God’s opinion of him, and as a result, he cared very little about the opinions of others. And because he feared God, he did not need to fear anyone else. And thus, he was not tossed around by public acclaim nor by the threats of the powerful people his truth threatened. John’s message dared to expose the secrets that everyone knew, whether they be in Herod’s household or in the secret hearts of ordinary people. And that truth-telling was so rare in those days that people sought out John, to hear his message of repentance. Like water in the desert, John’s words slaked the thirst of the people’s hearts to hear the truth. But to tell the truth has another benefit; telling the truth is a simpler way to live. My friends, how much emotional and mental energy does it take to lie, and then to cover up afterwards? Those who tell the truth do not have to waste time looking over their shoulder, fearing when the lie catches up to them. As Satchel Paige once said, “A lie will take you far, but a lie will not get you home.” Spouses involved in affairs become ensnared in an ever-tightening vise of the double life. Business leaders who attempt to deceive investors or employees must keep increasing their level of intrigue to stay ahead of the baying hounds of consequences that pursue them. In the end it simply becomes too complex, too difficult, too exhausting to continue. But the person who tells the truth, even if that truth is painful at first, lives free of these complications. That is not to say that truth-telling has no risk. Folks, Herod killed John the Baptist. But even that cruel act did not cut off John’s voice, because Jesus came to pick up the message, and the disciples of John continued to venerate his work, even to this very day. In the end, the truth wins, every time. And maybe that is why people today name their sons John. Have you noticed, no one names their son Herod?